Essential oils are renowned for their immune-supporting and emotion-balancing qualities. When used safely, Aromatherapy is a simple and delightful way to support health. (Referenced: Robert Tisserand and Rodney Young’s book, Essential Oil Safety: A Guide for Health Care Professionals (second edition). Photo-toxic oils:Bergamot (0.4%), Lemon (2%), cold pressed Lime (0.7%), Grapefruit (4%), Bitter Orange (1.25%), Mandarin Leaf (0.17%), Cumin (0.4%), Angelica Root (0.8%), Laurel Leaf absolute (2%), Rue (0.15%) and Taget (0.01%).Sunlight or tanning bed rays must be avoided for up to 18 hours after application if any of these oils are used at levels higher than indicated. These oils applied to the skin at over the photo-toxic safety level will increase the chance of severe burns from ultraviolet light. (Tisserand and Young p.659). We DO NOT recommend the use of essential oils directly on the fur or skin of SMALL ANIMALS. Small animals can have toxic reactions to essential oils being applied to their fur or skin. We recommend consulting a Certified Animal Aromatherapist or a Veterinarian, who is knowledgeable in the use of essential oils on animals before using essential oils with animals. Birch or Wintergreen SHOULD NOT be used on or given to CHILDRENin any amount due to the possible risk of developing REYE’S SYNDROME and its known connection with salicylates. (Tisserand and Young p.656). For CHILDREN, who are 5–12 years old, ELDERS on multiple medications, PREGNANT women, and those with SERIOUS HEALTH CONDITIONS, it makes sense to begin with a low dilution. Essential oils can be diluted at 1% (a total of 5–6 drops of essential oil for every 1 oz/30 ml of carrier oil). There are various opinions about the best age to start using oils for babies and kids. BABIES AND YOUNG CHILDREN tend to be very sensitive, so Evolutional Health, LLC ‘s approach leans toward the cautious side. In most cases, rather than using essential oil, we recommend you use hydrosols, aloe vera gel, butters, and carrier oils for kids under five years old (when doing a topical application). Hydrosols, carriers, and carrier oils can often give a child the necessary nudge toward rebalancing their health. Diffusing gentle essential oils around babies and younger children is a good option. Ambient inhalation (inhaling oils that are diffused into the air and away from their face) is generally safe. You can diffuse intermittently 10–15 minutes, then stopping for an hour, making sure the room is well ventilated. We typically recommend diluting essential oils in carrier oilsbefore applying them to the skin. For general use, we recommend a total of 5–18 drops of essential oil in 1 oz (30 ml) of carrier oil. If an essential oil or blend causes irritation on your skin, immediately wash it off with soap and water, and then apply carrier oil to the affected area. These are some of the most commonly used oils that are contraindicated during PREGNANCY: Anise, Birch, Black Seed, Blue Cypress (Callitris intratropica), Carrot Seed, Cinnamon bark, Fennel, Ho leaf (Cinnamomum camphora ct. camphor), Hyssop (Hyssopus officinalis ct. pinocamphone), Myrrh, Oregano, Sage (Salvia officinalis, Salvia lavandulifolia), Spanish Lavender (Lavandula stoechas), and Wintergreen. Do not put essential oils in or around the eyes, the ears, or other orifices. If an essential oil does contact your eye, immediately wash your hands with soap and water and then put some carrier oil on a paper towel and gently wipe your eye. You may need to do this a few times. You can also flush with saline solution. If irritation persists, seek medical attention. People with ASTHMA and seasonal or skin allergies should proceed cautiously with essential oils. People with multiple chemical sensitivities or who have had allergic reaction to perfumesshould proceed cautiously with essential oils. (Tisserand and Young p.658). CANCER treatment:Because of possible and unpredictable effects on immune mechanisms, Robert Tisserand recommends that essential oils are avoided from one week before to one month following a course of chemotherapy or radiotherapy. (Tisserand and Young p.656). Please consult with your personal medical professional prior to use. Keep all essential oils out of the reach of CHILDREN.They can be poisonous if swallowed. 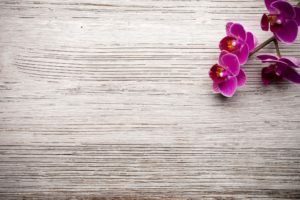 Essential oils may be safely used internally if you have appropriate medical guidance by a trained clinical Aromatherapist, who understands pharmacodynamics, pharmacokinetics, appropriate formulation techniques and the safety issues related to each route of application.